I have written about how to make light fixtures out of repurposed items but what if you want to repurpose an old light fixture into something else? No worries! I have some ideas for doing that as well. If you like to update your home with new accessories and fixtures, there is a good chance that you may have an old light fixture just lying around. Instead of just letting it collect dust, thinking that you may have a place for it….someday, why not put it to use now in a whole new way! 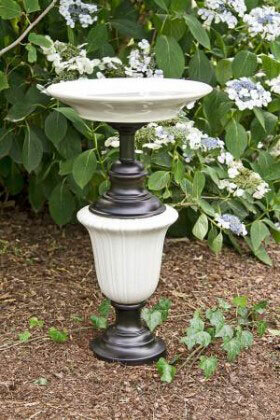 This would make a beautiful addition to your garden with the extra plus of drawing in the song birds. 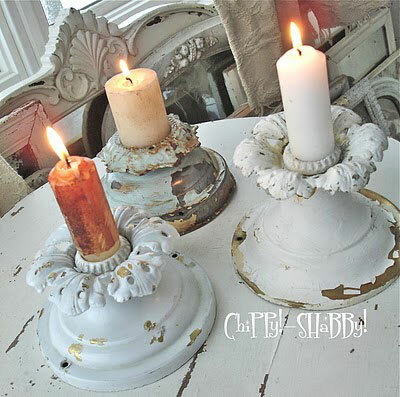 I have seen several instances of light fixtures turned into candle holders. I love this example, with the chipped paint and ornate styling, which looks particularly shabby chic. Turn a light shade into a useful planter. 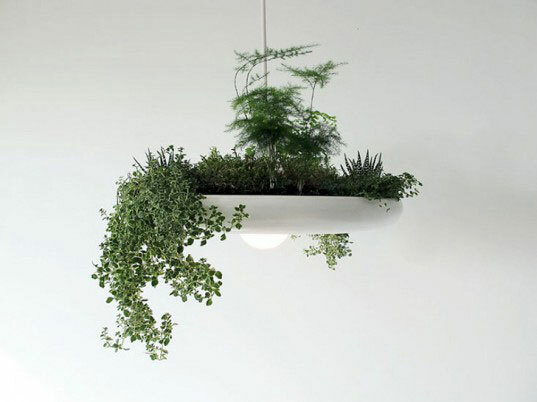 This planter happens to be hanging from the ceiling but in the likely event that you are no longer using the fixture , you can easily hang it from a hook or set it on a surface. 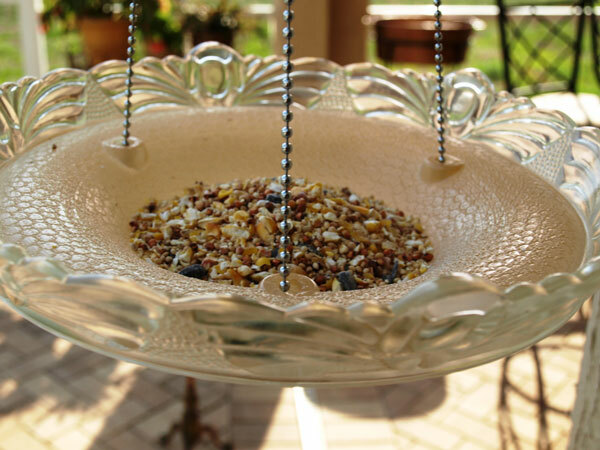 To go along with the bird feeder, here is a unique idea for a garden bird bath using a repurposed lamp. 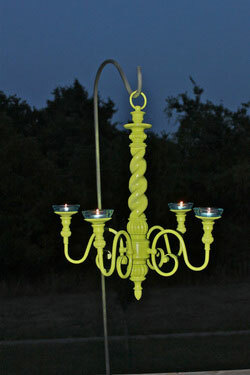 Finally, why not create some fun outdoor lighting with an old chandelier? This light fixture was painted a cheerful green and is used to burn tea light candles. You could burn citronellas to keep those mosquitos away at the same time! Great idea! Love #5 especially – thanks for sharing! Great tips, I love it. Thank you. You’re welcome! I’m glad you liked them!